This past season in the Lucas Oil Can-Am T.Q. Midgets, Ryan Fraser put together a solid season en route to finishing third in the year-end standings. As part of the new Catching up with…. series, Ryan Fraser spoke about the year and more. SHORT TRACK MUSINGS: What are your thoughts on this past season? RYAN FRASER: I’m not satisfied with how we ran this year, I know my team is better than what we showed but it just seemed like we couldnt catch a break from week to week but I know that my Dad, my Grandfather, Jeff Hanley, and myself will be able to take what we learned this year and put together a championship Caliber season for 2018! STM: What would you say was the most memorable moment of 2017? RF: My most memorable part of this year was honestly my big wreck at Flamboro Speedway. It may not seem like something you would consider a memorable moment but to me it’s about what happened after the wreck and how my team (my dad, Grandfather, Kole and Tait) rallied to get the car out for the second feature. To me that shows what we’re made out of at RJ Fraser Motorsports. STM: What is it going to take to be even stronger in 2018? RF: I think we hit on somethings set up wise at the end of the season that will keep us right in the thick of things when it comes to trying to claim that 2018 Lucus Oil Championship but i think we need to be more consistent when it comes to showing up to the track, unloading the car and being quick right off the trailer. I also think the driver needs to stop putting himself in bad positions. A Can-Am Midget race truly is a game of inches but if you’re not in the race at the end of the day there’s no chance of bringing home that championship. STM: How did you get started in racing? 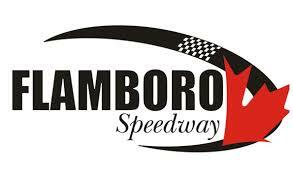 RF: Well I grew up at the racetrack watching my dad race late models at Flamboro Speedway and my Grandfather race occasionally so you could say racing’s in my blood. At the age of 8 my dad quit racing and put me in a go kart with Waterloo Regional Kart club and I’ve been hooked ever since. STM: What’s been the most memorable moment of your career to date? RF: I would say when I ran The Gamblers Classic in Atlantic City. There’s something about racing a TQ Midget indoors on a flat small Concrete Track that just gets me fired up. There really is no wilder experience as a racecar driver then bumping and banging with Legends like Lou Cicconi or Ted Christopher and the fact that Billy Pippard was confident enough to throw a 19 year old kid in there with some of the North East’s best drivers will always be the coolest opportunity I’ve ever had racing. STM: Who is your racing hero? RF: I have multiple racing heros. Obviously my dad Justin Fraser and my grandfather Larry Westwood are the first guys that made me wanna race and are big heros of mine but also Rob Neely and Jeff Hanley have had huge impacts on me and what I’ve become of a driver.